Need a pet/home sitter for our Fur-Kids!Need a pet/home sitter for our Fur-Kids!Need a pet/home sitter for our Fur-Kids!Need a pet/home sitter for our Fur-Kids! Need Help!Need Help!Need Help!Need Help! Easy cash and fun animals in Decatur!Easy cash and fun animals in Decatur!Easy cash and fun animals in Decatur!Easy cash and fun animals in Decatur! 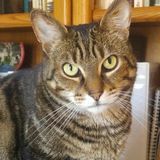 House Sitters Wanted in Georgia! The house sitting jobs in Georgia below are looking to be filled by trustworthy house sitters. The specifics of each house sitter job is listed in detail and typically include the required duties, timeframe and a little about the home and/or pets you will be taking care of.